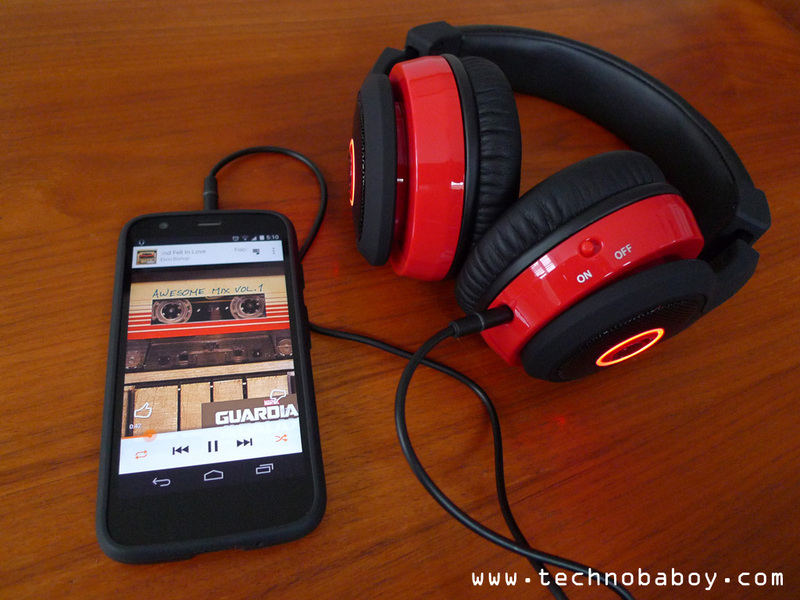 Boomphones Phantom Review: Earphones and Speakers in one. 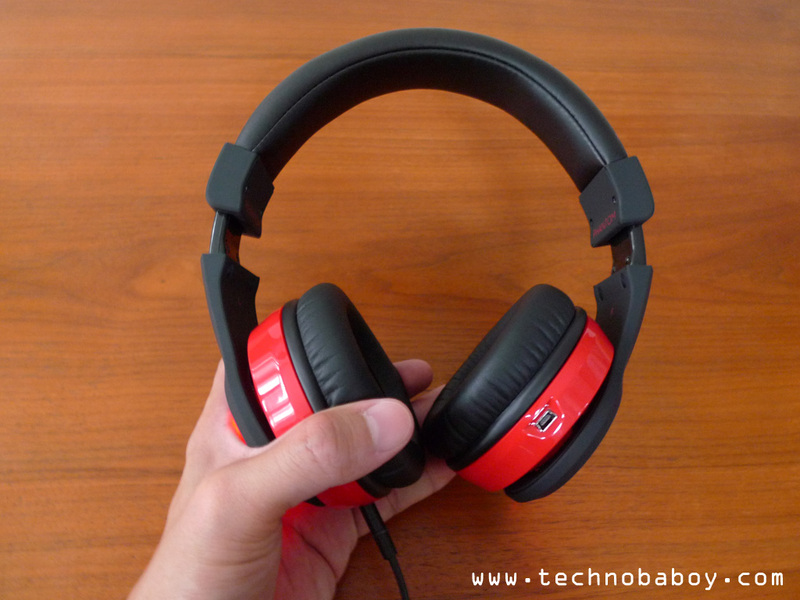 The Boomphones Phantom is a clever little device that functions like regular headphones with an option to become (as described on the packaging) a “boombox.” Quick review up next. 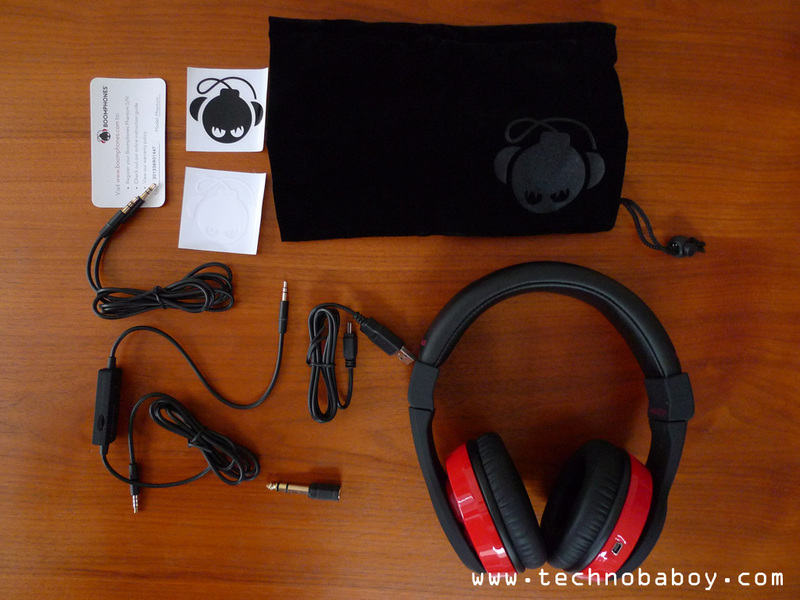 The Phantom on review has a nice matte black color, accented by the red glossy finish of the ear cups. 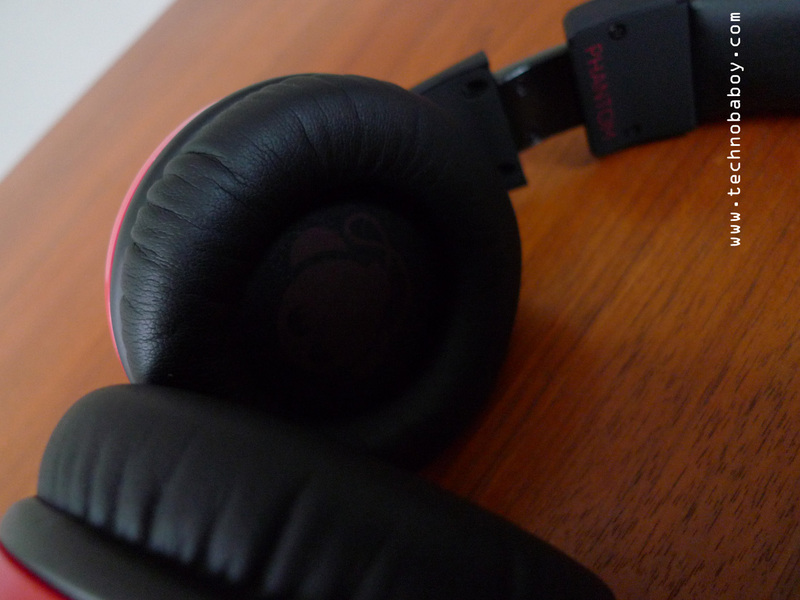 The Boomphones logo adorn the outside part of each ear cup. Overall, it looks good and stylish. It kind of resembles a Beats headset. 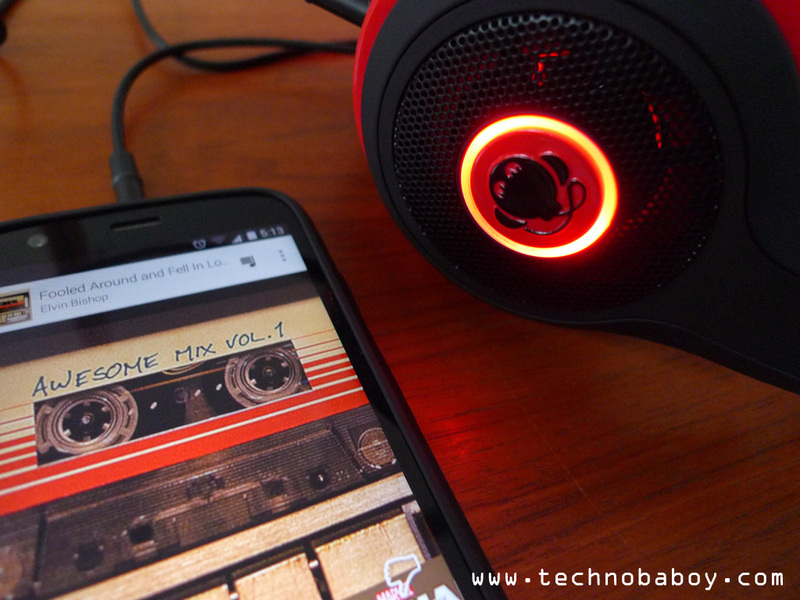 The Phantom has two modes: an internal headphone mode, and an external “boombox” speaker mode. 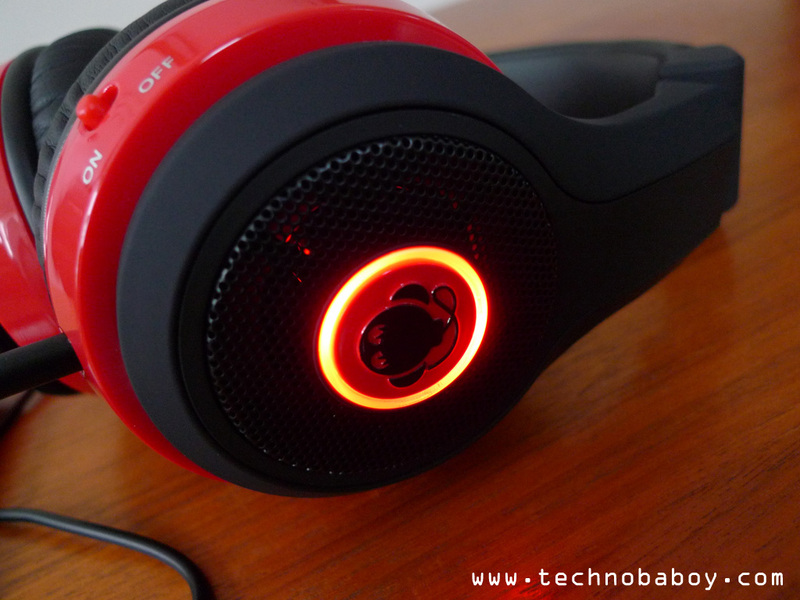 The external speakers are found at the back of the ear cups, and are powered by built-in batteries that you charge using the mini USB port on the right cup. The power switch is found on the left cup. To switch between modes, turn on the switch and press the logo button on the left cup. There are LED lights around the logo that signify what mode you are in: white for internal, and red for external. It is very comfortable to wear. The headband is covered by a padded leather like material. The ear cups adjust slightly to conform to a users head. 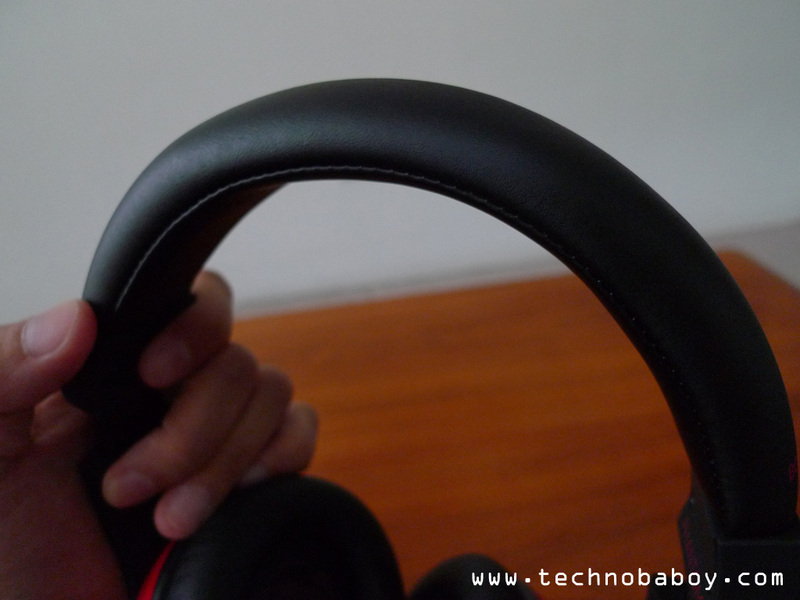 It has nice soft cushions as well, and it does a good job of shutting out most external sounds.The headphones are light and it doesn’t squeeze your head like a vice. I would say the build quality is above average. It has a solid construction, and seems sturdy enough. The ear cups look and feel a bit “plastic-y,” but in good way. It doesn’t diminish the overall look though. Seeing as it is an over ear headphones, it does get a bit warm around the ears during prolonged use, but not a big deal. 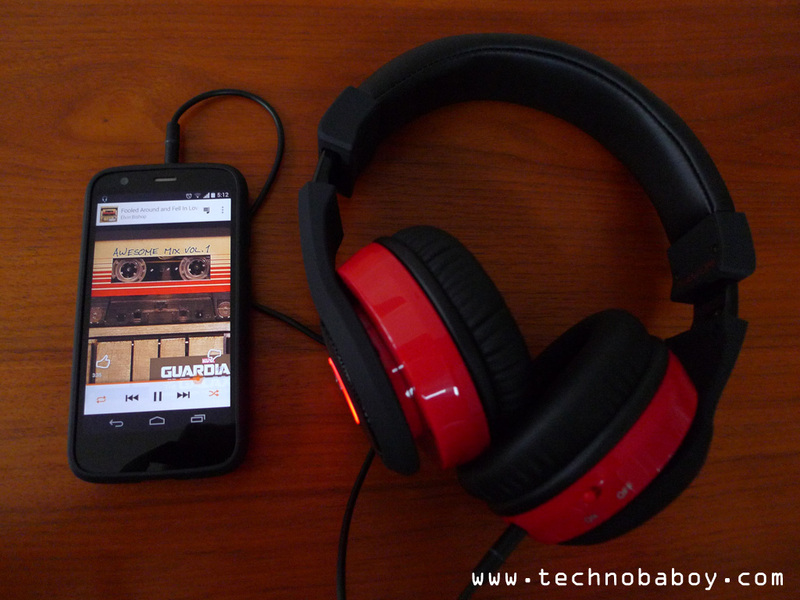 I tested the headphones using a variety of tracks, including genres from pop, rock, alternative, some acoustic tunes and 80s music, and even a bit of clasiscal. I used MP3 (256 to 320 kbps) and FLAC lossless formats. 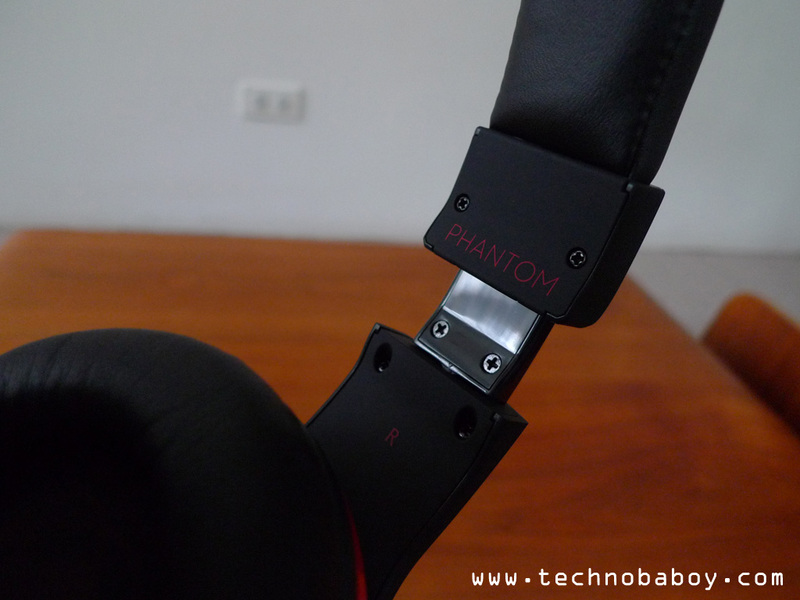 In internal mode, the Phantom actually deliver decent sound quality. Dynamic range is good. The bass, while also good, can be overpowering and a bit muddy at times causing tunes to sound flat. The mids and highs could use a bit more power, but, again, it’s not a big deal. Changing the equalizer presets help here. You could use the ear phones even if you switch it off, but I noticed that you get a bit more power when its on (white LED light turned on). The “boombox” claim is a bit of a stretch. I guess the best way to describe the sound quality of the external mode is that they sound like your average computer speakers or phone speakers, only a lot louder. It’s lacking in bass, and it does sound a bit tinny. But it’s convenient – if say you are with a couple of friends having coffee and needed some good tunes in the background. The Phantom has a battery life of 7 to 8 hours, depending on use. 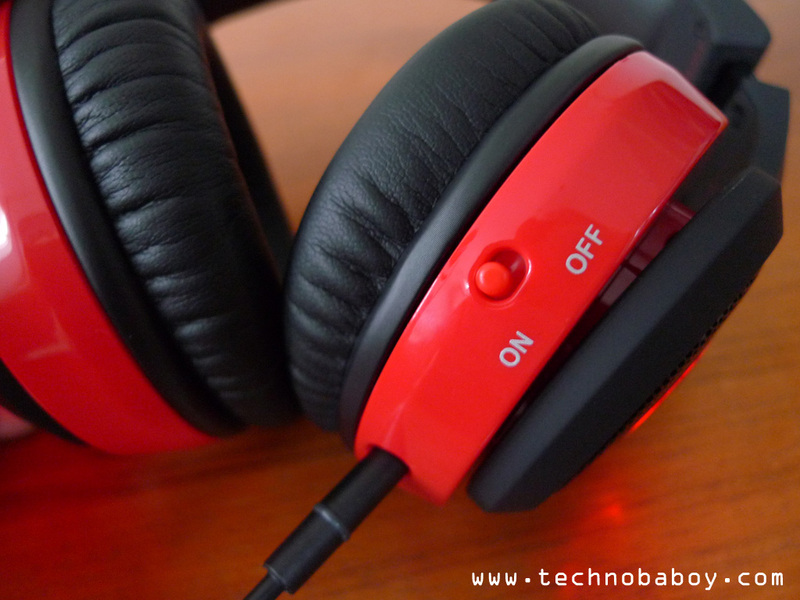 The Boomphones Phantom is a good set of over ear headphones. 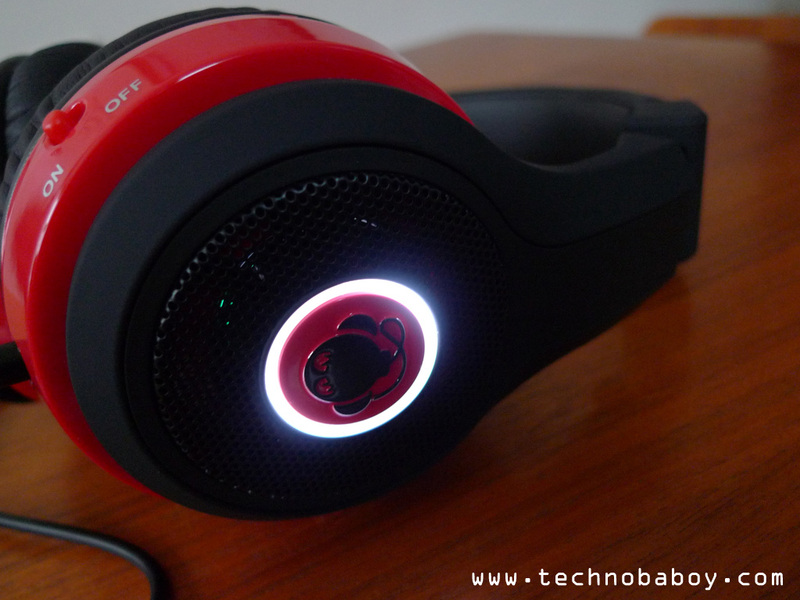 It can deliver decent sound quality and good overall performance. It’s stylish and comfortable wear, but gets a bit hot at times. It is by no means a “boombox,” but it does provide the convenience of an external speaker if the need to share music arises. 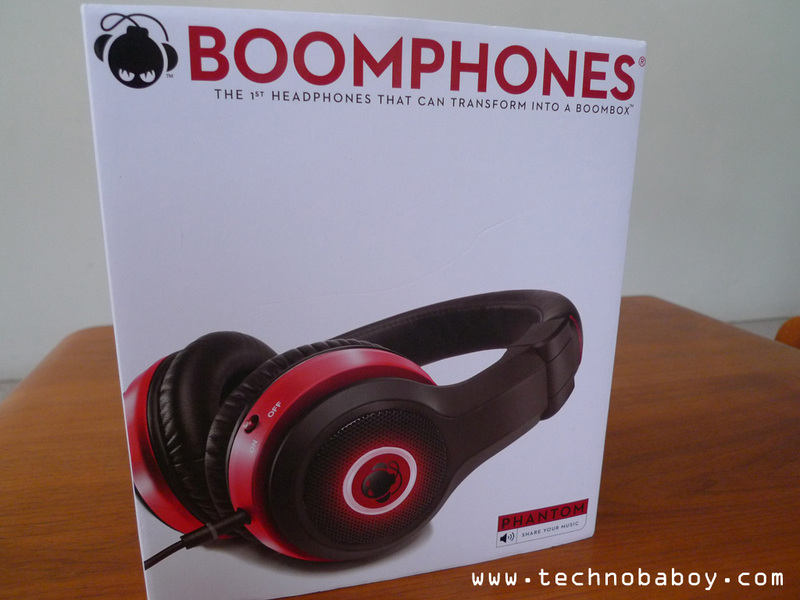 The Boomphones Phantom retails for P4,950. You can get it at Digital Walker boutiques.